There’s something appealing about the concept of a garden gun, which is what the 410 Bore became popular as in England. You typically can’t use one of those when you live in the suburbs, to say the least, so to have a garden gun means the you also have the kind of garden where you can do whatever you like. That’s why the squirrels in the woods don’t trust people as much as their city cousins do. 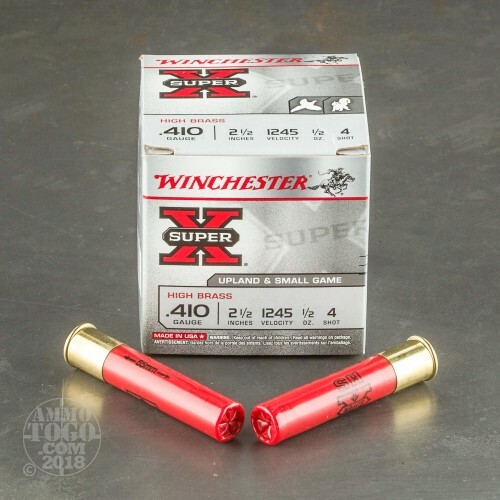 This 410 Bore from Winchester’s Super-X line of ammunition will serve you whether you’re protecting your zucchini bed, taking pheasant, or just knocking down targets. 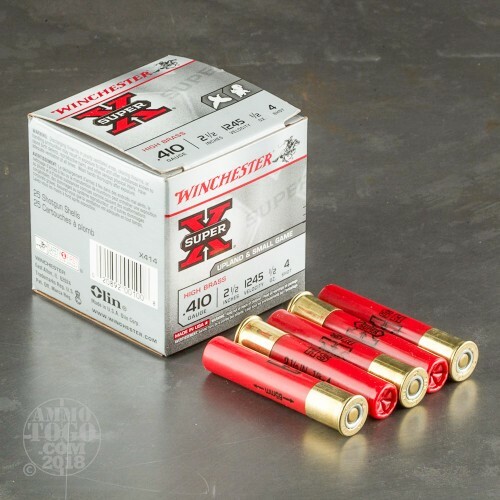 It’s loaded with approximately 67 pellets of #4 shot, which is popular for hunting a variety of larger birds, and which also wouldn’t do any favors for a fox or any other brute who likes to slink around a henhouse. 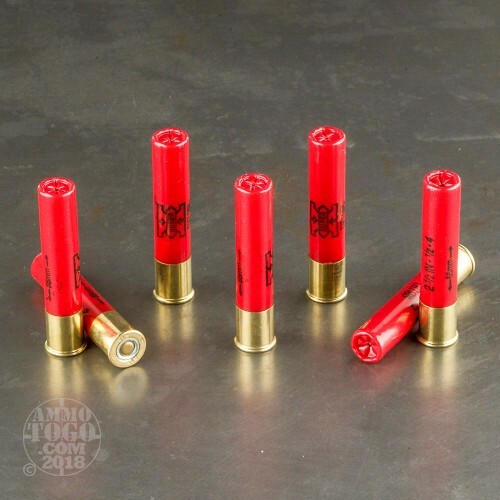 This shell’s 1,245 fps muzzle velocity certainly merits its high brass. Even considering its gauge this is a low recoil shell, because its one-piece hinged wad absorbs recoil while simultaneously patterning its payload. This shell’s 209 primer does a good job of igniting the propellant as instantaneously as possible as well. 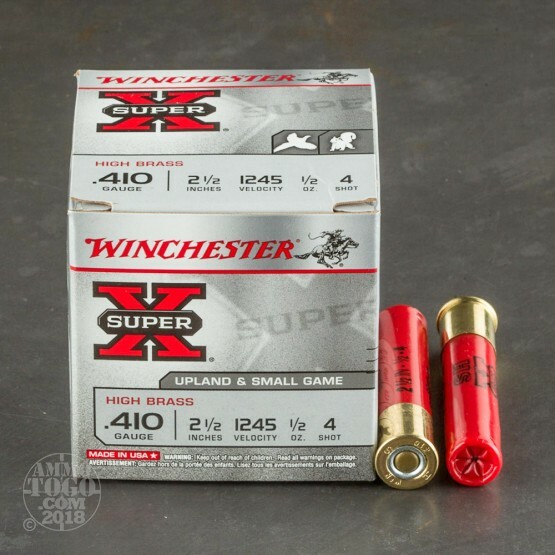 You get a good shell from the Super-X, which is why the label will soon celebrate a centennial.